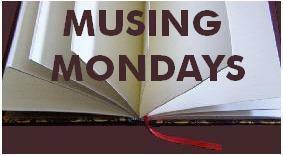 THIS WEEK’S RANDOM QUESTION: How old were you when you realized that you are an AVID reader? 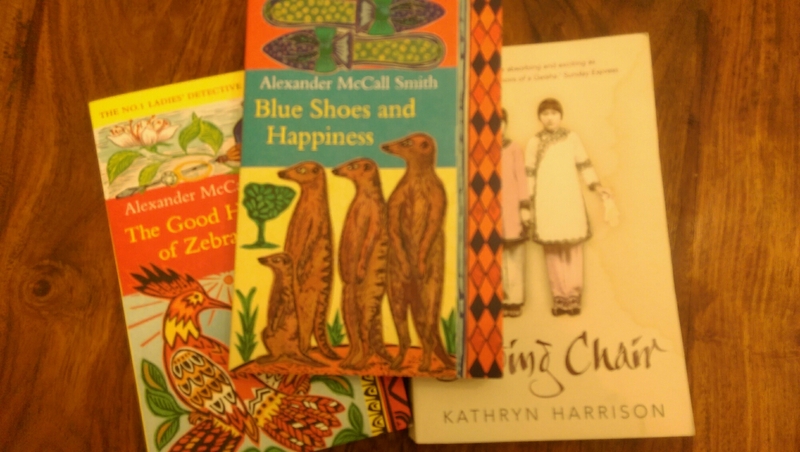 We had a second hand book sale at work last week. There were loads of books and I was dying to pick up some. I was sure I would find something for Daughter and myself. I went around to the sale a few times and found nothing I wanted to buy. Absolutely nothing. Most of the books that did interest me were books I had already read. This was on Thursday. The book sale was only supposed be on Thursday, but there were so many books left that they had left the books on sale with an honesty box. At Friday lunch time, I decided to give it one more try and I found these books! That certainly made my day. How old were you when you realized that you are an AVID reader? I must have been around 8, when we started getting books to take home from school. Until that point, for some reason, we weren’t allowed to take school library books home. I still remember my joy at being able to borrow books. I think there was nothing I looked forward to as much at school as I did towards the library periods. 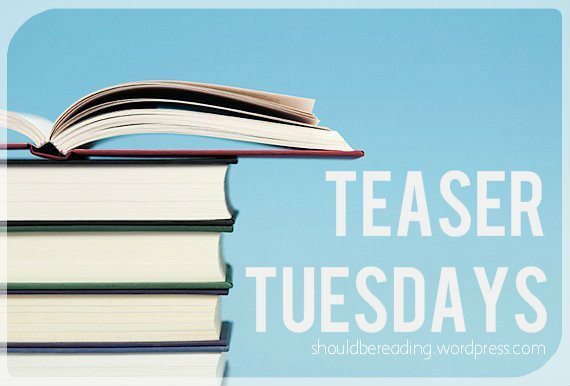 Teaser Tuesdays is a weekly bookish meme, hosted by MizB (Jenn) of A Daily Rhythm. Anyone can play along! Just do the following. It seemed to the man that he was floating. His hands, he noticed, caught the sunlight, and the almost imperceptible webs between his widely spread fingers glowed bright red shot through by the sun, revealing the complex pattern of veins moving blood around his body. Keeping him alive. The blood pumped harder now, pressing into his skull, restricting the brain until it hurt. Then nothing. A thud. And the birds, free-wheeling high in the sky, looked down on the body spread-eagled and lifeless in the shadow of the tower. One of the few books I picked up purely because of the name and the cover. I absolutely love the cover. Love the colours, the picture.. I just had to request it from NetGalley. 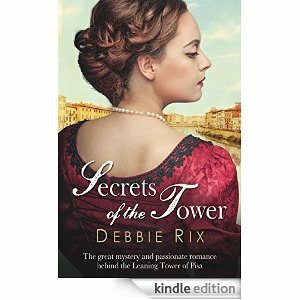 Thank you NetGalley and the publishers, St Martin’s Press for the review copy of this book. Back in the 60s, Kathleen Eaden, a cookbook writer and the wife of a business magnate had written a book, ‘The Art of Baking’, her guide to nurture a family. This had become an iconic cookery book, a well-thumbed through resource for housewives across the country. Decades after the book was first published, Eaden’s book still had an audience, albeit a slightly more varied one; not just housewives were the ones baking. Now a year after her passing away, Eaden’s supermarket was holding a search for the ‘new’ Katherine Eaten. Someone who could match the original Katherine Eaten in her quest for perfection, someone who could become as iconic as the original Mrs Eaten. Five amateur bakers are competing for this title. They are a diverse bunch. The only thing they have in common is their love for baking. Each of them have their own reasons for taking part. Claire, a young single mum knows that this is a golden opportunity to give her young daughter a chance to a better life. Jenny, with three grown up daughters and a husband who is more interested in his weighing scales than her, is doing something for herself, for the very first time. Mike, a young widowed dad looking after his two kids, just wants to do what he enjoys the most, bake. He knows he can’t win, so all he wants to do is enjoy baking. Karen is perfect. She knows she has to be perfect, nothing less can be expected of her. What is she hiding behind her perfection? Posh Vicki, an ex-primary school teacher turned stay at home mum of a three year old is finding it extremely difficult to stay at home looking after her son. All she wants is to have loads of babies and be a perfect mum for them. Why then, is she so unhappy, so dissatisfied? Is baking the only way she can manage to be perfect now? As they bake to become the new Mrs Eaden, they learn things about themselves that they didn’t know, or perhaps didn’t acknowledge. Maybe, as Jenny says in the book, this quest should have been to find the real Mrs Eaden and not the ‘new’ Mrs Eaden. The bakers bake their way through the competition as their stories unfold. Mrs Eaden’s story continues on a separate thread. The author does a wonderful job synchronizing both the threads. Kathleen Eaden’s narrative moves at the perfect pace with the story of the bakers. Her thoughts and all that she had been going through as she writes up recipes that is now being tried out by the bakers, decades later. A beautifully wriiten, sensitive story. One which I enjoyed a lot. Not to mention the fact that all the bakers mentioned had me drooling at the thought of them. It was a good thing that I had been really busy while reading this book else I would have ende up baking something. Which in itself isn’t a bad thing, if only I didn’t eat up most of it myself. A 4/5 read for me. An author I shall be looking out for in the future. Do give this book a try, if like me, you love books and baking. 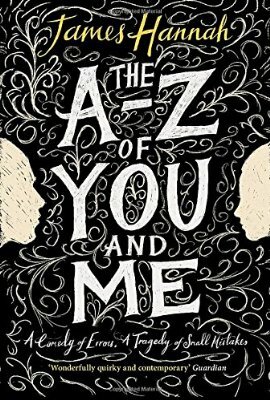 Try it even if you don’t as it is such a charming book, it is well worth a read. Sarah Vaughan read English at Oxford and went on to be a journalist. After training with the Press Association, she worked for The Guardian for 11 years as a news reporter, health correspondent and political correspondent. She started writing fiction after deciding to freelance. 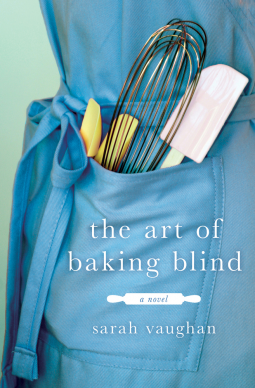 The Art of Baking Blind – published by Hodder (UK and Canada), St Martin’s Press (US) and translated into eight languages – is the result. She lives in Cambridge with her husband and two young children and is currently writing her second novel. I’m just going to talk random book stuff today. Actually, not so random at all. I’ve got to write about how much I have started enjoying Netgalley. I love being able to request books, that actually appeal to me to read and review. A lot of times I end up accepting books from authors or publicist simply because I feel unable to say no. I know, I know it’s not good, but that’s how I am at times. In case of Netgalley, I love the process of checking out blurbs, requesting books that excite me. Of course some of them still disappoint, but that is to be expected, isn’t it? If there is anything I absolutely hate about it is getting rejected. I actually feel a little sad, especially if it was a book I was really looking forward to reading. Not that it should stop me. If I really want it, I just order it on Amazon, but sometimes there’s a wait! Until the book gets released, which is sometimes quite trying. But can’t get everything, can we? So tell me, how do you guys find Netgalley? Forty year old Ivo is in a hospice. He doesn’t have long to live. His days are spent being looked after by his carers, with a blanket he clings on to for comfort. He doesn’t want to have visitors or any reminder of his life outside. All he wants to do is wait for death. His carer/nurse Sheila suggests a ‘game’ for him to play, for him to keep himself engaged. He is to think of a body part for every letter in the alphabet and recall a story for each body part. As he works through the alphabet, he takes us down his memory lane. His childhood, the love of his life, Mia and all the things that went wrong (and right). It is a poignant, heart-wrenching read. For a book that you know will end in tears, it was still quite an uplifting, positive book. The characters were all real. They could be any of us, multi-dimensional, with issues. The relationships within the story are addressed in such a beautiful, sensitive way. Be it his relationship with his mother, his sister, or his friends.. It all felt real, possible, and as Ivo spends his last days thinking about the people in his life, it brings him a clarity that had eluded him previously. I loved the way it ended. There was something incredibly touching about the way the book ended. For a debut book, I thought it was such a wonderful piece of writing. Incredibly sad at places, but we’ll worth a read. While the story isn’t ‘new’, the way the author has spun it, is new, and very beautiful. A 4/5 book for me. Thank you Net Galley and the publishers for the review copy. She saw that despite the fact that he told her he loved her almost every day, the expression on his face as he looked at her now appeared to be pure loathing. This was what she had discovered about him. There were two Harrys –Harry Light and Harry Dark. Tomorrow, or even later this evening, Harry Light would show up again as if nothing had happened. But right now it was Dark Harry. 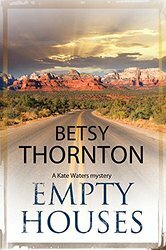 p.5 of Empty Houses by Betsy Thornton. I’ve just started this book, and am yet to form an opinion of the book.